Large one bedroom apartment with Queen bed in bedroom and a Double bed in corner of lounge. Kitchen with full-size fridge. Coin-operated laundry available for guests. FREE Wifi. One bedroom apartment with Queen bed in one bedroom and Double bed in corner of lounge. Kitchen with full-size fridge. Coin-operated laundry available for guest. FREE Wifi. Large one bedroom apartment with Queen bed in bedroom and Double bed in corner of lounge. Kitchen with full-size fridge. Communal coin-operated laundry available for guests. FREE Wifi. Studio apartment with King bed complete with kitchenette facilities. Extra person rate of $35 per night for third person. Sofa bed must be requested. The room caters for a maximum of 3 adults, and a maximum of 1 child but cannot exceed 3 guests in total. There is a communal coin-operated laundry available for guests on the middle level. FREE Wifi. Our One Bedroom Apartments are well set up for one to two guests staying a few days, a week or longer, with the additional charge for the third person. The room caters for a maximum of 3 adults, and a maximum of 1 child but cannot exceed 3 guests in total. Bedding configuation is one queen size bed and one single bed. Fully equipped kitchen, Separate living area. There is a communal coin-operated laundry available for guests on the middle level. FREE Wifi. Our Two Bedroom Apartments are well setup for one to four guests staying a few days, a week or longer, with the additional comfort and space of a separate sleeping area and many additional features including main bedroom with King size bed, Second bedroom with two single beds, Fully equipped kitchen with hotplates, full-size ovens, microwaves, full size fridge and all cutlery, crockery and cooking utensils are provided. Separate living area, Colour TV, Direct dial phone, FREE Wifi Internet, Voice mail, Radio / alarm clock, Individual air-conditioning and heating, Iron and ironing board, DVD player. There is a communal coin-operated laundry available for guests on the middle level. 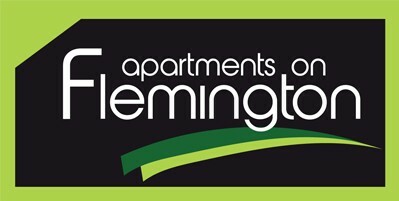 Copyright © Apartments on Flemington All Rights Reserved.